Place the mint, coriander and parsley in a food processor and process until finely chopped. Add the oil, vinegar, salt and pepper and process until just combined. Place in a serving bowl and gently stir in the sriracha. 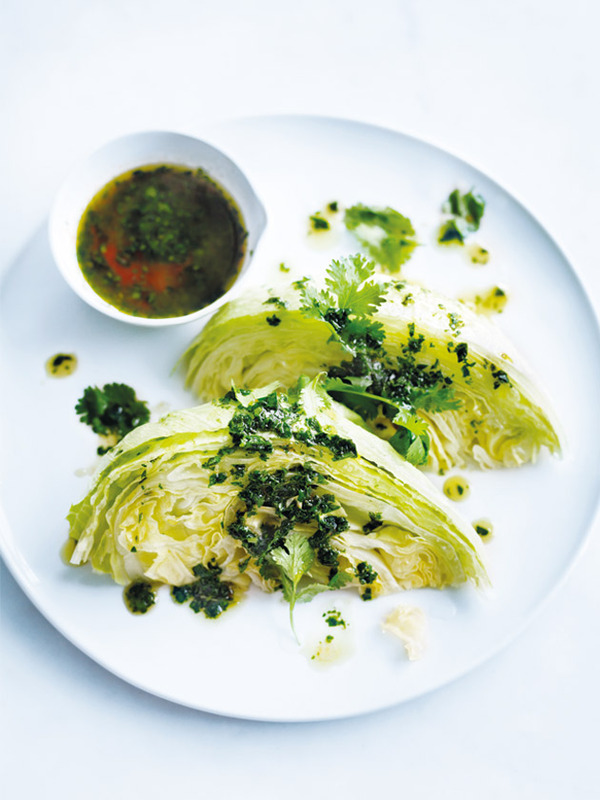 Place the lettuce wedges on a serving plate, drizzle with dressing and top with the extra coriander to serve. Makes 1 cup. + Sriracha hot chilli sauce is a spicy and tangy sauce, originally from Thailand. It’s commonly used in Thai and Vietnamese dishes, and is available from the Asian aisle in most supermarkets and from Asian supermarkets. Tip: You can also use the mint coriander and sriracha dressing in noodle salads or toss it through a crunchy cabbage slaw.